Add an air of exclusivity to your home or business when you depend on Custom Glass Specialties for glass stairs. The team at our glass stair company in San Diego, CA, creates sleek designs that make great impressions. From beautiful winding staircases to outdoor glass railings, we design and install custom products that capture your sense of style. Whether you want a glass stair installation in your home or business, we can design and build products that take your décor to the next level. After all, glass staircases and rails add a distinctive touch to any property. 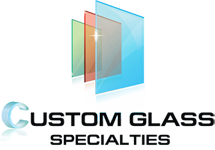 In addition, glass comes in many different colors and styles to meet your needs. Every project is a masterpiece with our glass stair contractor. That's because we see your staircase as more than a construction job; it's a functional piece of art. From traditional or contemporary to eclectic or elegant, your glass staircase can be anything you want. We have more than 26 years of experience in the business and know how to handle any challenge. Lighten up your room with custom glass stairs. It's one thing to install a wooden stair case, but it is a completely different task to build custom glass stairs and rails. Don't use an inexperienced contractor who is ill equipped to handle the project. Because we have provided glass rail installation and staircase installation for more than two decades, we know how to accurately, safely, and efficiently complete every project to your satisfaction. You deserve more than a glass staircase. What makes our company different from the rest is our commitment to highly refined craftsmanship, exceptional results, and personalized attention to your needs. We are a family-owned glass staircase company that treats our customers like family. Don't settle for anything less! Bring elegant craftsmanship to your outdoor living areas. 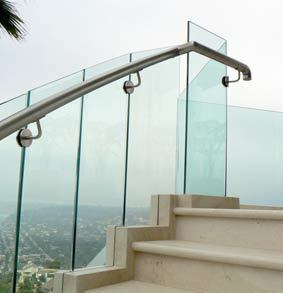 We also provide exterior glass stair rail installation. Whether you need rails for your deck, patio, balcony, or architectural elements, you can depend on our team to cater to your needs. Enjoy exquisite workmanship that adds curb appeal and value to your home or business. Contact us for a free estimate and consultation if you are considering a glass staircase in your home. We proudly serve residential and commercial customers in San Diego, Chula Vista, Carlsbad, Rancho Bernardo, and Mira Mesa, as well as the surrounding areas.